The Seagull S6 Original guitar sports a new look for 2018 while retaining its classic appeal. 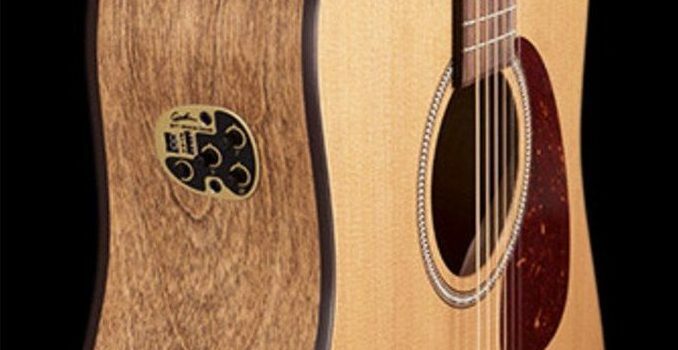 The S6 Original is the Canadian brand’s flagship acoustic, the one that helped put Seagull in the list of the best guitar makers in the world today. The S6 has been known to be one of the best acoustic guitars for beginners because of its excellent craftsmanship, sound quality and affordability considering its overall quality. It has also received praises from seasoned musicians, something that not every beginner guitar can achieve. Let’s take a closer look at what the Seagull S6 Original has in store for musicians and why it would be a good purchase for players of all skill levels. For the S6 Original, Seagull modified the classic dreadnought guitar shape to reduce the boominess that comes with big-bodied dreadnoughts. The S6 looks like a dreadnought but it’s not – at least, not completely. The guitar has rounded, narrow shoulders and a wide waist, which allows for a richer, more defined midrange output. The result is a unique body style that somewhat retains the traditional look of classic dreadnought guitars. Handmade in Canada, the 2018 model of the Seagull S6 Original features a pressure-tested solid cedar top. Its neck is made from silver leaf maple for a brighter sound, while the three-ply laminated back and sides are now made from wild cherry wood and given a darker stain. The guitar has been given a semi-gloss custom polished satin finish that is durable yet thin enough to allow the guitar to vibrate and breathe freely for superb projection. The combination of solid cedar, wild cherry and silver leaf maple give the S6 Original a crisp midrange tone. Cedar as a tonewood creates a warm, crisp and full sound, which tempers the brightness from the maple and cherry. The pressure-tested solid top provides durability, stability and volume as well as thinner bracing. This acoustic’s look and sound will no doubt get better with age. The guitar’s tapered headstock is a bit smaller than those on other acoustic guitars. This is meant to keep the strings straight and stable, resulting in them staying more consistently in tune for a longer period of time. 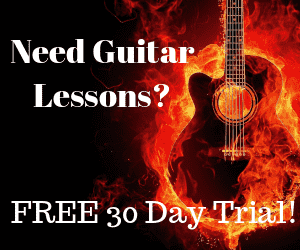 This is definitely ideal for beginners because they wouldn’t have to keep on adjusting the tuning every time they need to learn new chords or practice their strumming patterns. It’s also beneficial for advanced guitarists who play gigs and may not have the time to tune and re-tune their guitar every time they perform a song. The 2018 revamp of the S6 also features a smooth, comfortable rosewood fingerboard and bridge, paired with a GraphTech Tusq nut and compensated saddle for improved tone and playability. Also new for 2018 is a 1.8-inch wide nut – wider than most, but better for fingerpicking styles because you have more room to move around. The 2018 Seagull S6 Original has die-cast chrome tuners, black binding with a white accent and a herringbone rosette around the soundhole. The pickguard has a tortoiseshell pattern. The guitar has 21 frets and a 25.5-inch scale length. The body is 4.9 inches deep and 19.8 inches long, while the waist measures 10.54 inches. The upper bout is at 11.38 inches and the lower bout measures 15.87 inches. The overall structural integrity of the Seagull S6 Original 2018 makes it durable and robust. Aesthetics-wise, this guitar has a simple yet impressive look that many musicians are drawn to. It may not look as fancy or embellished as other acoustics, but the dark, bold stain, beautiful wood grain and no-nonsense cosmetics just make the S6 all the more appealing. It’s a subtle, unassuming beauty to be sure, but how does it sound? The tonewoods used in the Seagull S6 Original and the overall construction make for a great guitar that can easily compete with other acoustics on a higher price range. The resonance of the S6 Original is full-bodied and the guitar has impressive sustain. The S6 Original delivers a rich, warm and bright tone, leaning toward the higher end of the scale. Think chimes rather than bluesy notes, but there’s still a good tonal balance that works well for most musical pieces. The basic dreadnought body shape produces a loud and clear sound. And because the guitar projects excellently, you can play it in intimate settings without the need for electronics to amp up the sound. ● S6 Cedar Original Slim – this is basically the S6 Original but with a smaller nut width (1.72 inches). ● S6 Original QIT – this variant comes with custom Godin QIT electronics. QIT stands for Quantum IT, an acoustic guitar system that really brings out the tonal clarity of the guitar, resulting in a rich and full sound. The Godin QIT system features volume, bass and treble controls along with auto shut-off and an onboard tuner. ● S6 Original Burnt Umber QIT – this S6 Original model boasts a striking, vintage look. It features a solid spruce top and a custom polished finish, and is equipped with Godin Quantum IT electronics. ● S6 Original Left – this one has the same specs and features as the S6 Original but for left-handed players. ● S6 Cedar Original Slim QIT – this is the same as the S6 Cedar Original Slim model but equipped with custom Godin QIT electronics. ● S6 Original Slim Concert Hall Burnt Umber GT A/E – this S6 not only sports a burnt umber finish but also a gloss top of solid spruce and semi-gloss sides and back. This variant is just a little bit smaller than the S6 Original, with a body depth of 4.13 inches, a body length of 19.38 inches, a lower bout measurement of 14.93 inches and an upper bout measurement of 11.19 inches. The scale is still at 25.5 inches but the waist is now at 8.92 inches. The S6 Original Slim Concert Hall Burnt Umber variant also comes with a Fishman Sonitone pickup system. The onboard preamp is soundhole-mounted and comes with rotary controls for tone and volume. ● S6 Classic M-450T – this variant’s nut width (1.72 inches) and scale length scale length (24.84 inches) differentiate it from the S6 Original. It also comes with a preamp and pickup system called the B-Band M-450T, which has a 4-band equalizer. The EQ includes slider tone controls for presence, treble, bass and mid. It also features a built-in digital chromatic tuner and a separate knob for volume. ● S6 Mahogany Deluxe A/E – the Seagull S6 Mahogany features a solid mahogany top and mahogany back and sides. It also comes with a Fishman Sonitone Onboard Preamp System. 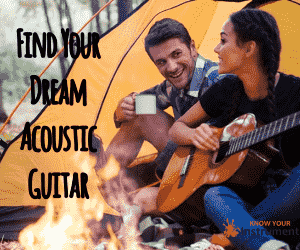 Why buy the Seagull S6 Original acoustic guitar? When learning to play a new instrument, the rule of thumb is to buy the best that you can afford to avoid unnecessary expenses down the line, such as repairs or even a new guitar because the first one broke or never keeps in tune. Seagull’s S6 Original guitar retails for less than $500. And while that’s not exactly cheap, for the quality of the guitar the S6 is surely one of the top models to beat at this price range. It’s actually quite inexpensive if you think about it, thanks to the abundance of the materials used for the guitar in Canada where it’s made. The price tag on the S6 is reasonable if you want to have a great first guitar that will make learning to play fun and will last you for years. It looks good and sounds awesome, and will definitely perform better as the years go by. The construction quality makes the S6 feel like a more expensive guitar. You can stick with the S6 even as you become a more advanced player and even when you start recording your own music. The Seagull S6 Original is not just a great guitar for beginners; it’s a great guitar for everyone.